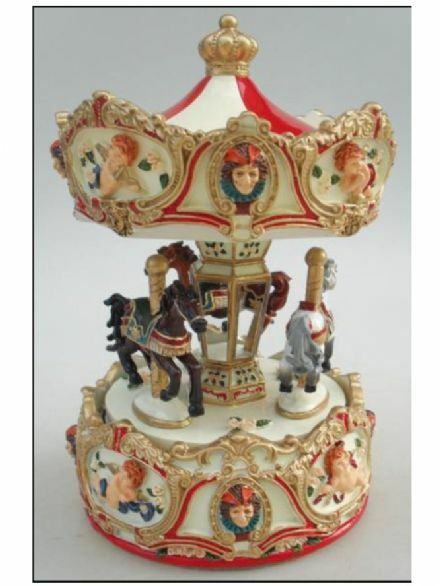 This beautiful highly detailed musical carousel has unusual cherub designs around the top and base. The base colour is cream with details hand painted in gold and red. There is a beautiful golden crown design at the top of the carousel. When the musical carousel has been wound up the three horses rotate to the music 'Rigoletto'. The horses are reflected in the mirrors that are on the main column of the carousel. 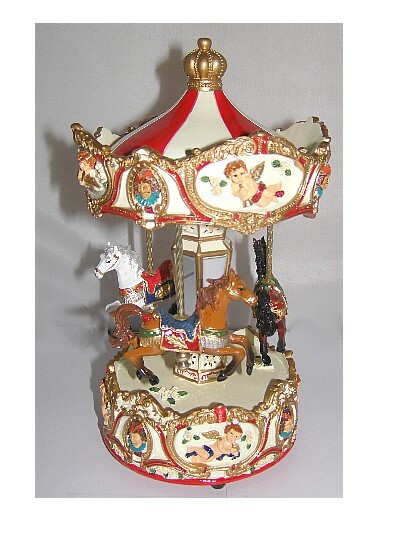 The carousel is made from resin. Dimensions:- Approx. 23cm high, base diameter is approx. 12cm.